Today is World Environment Day. Each year, at least 1.4 million Europeans die prematurely due to polluted environments, accounting for at least 15% of Europe’s total deaths. Altogether, European citizens lose 50 million years of healthy life annually as a result of environmental risks. In Europe, environmental risk factors are responsible for around 26% of ischaemic heart disease, 25% of strokes and 17% of cancers. Air pollution is Europe’s leading environmental killer. Additional environmental risk factors include chemical pollution and unsafe water, as well as poor sanitation, injuries, occupational risks and noise. The WHO European Centre for Environment and Health (ECEH) in Bonn, Germany, supports countries and partners to identify policies and actions that can benefit both environments and human health, using the best available evidence. Great opportunities lie in changing consumption patterns and fostering healthy approaches in energy, transport, housing, urban management and agriculture, as well as in the health sector itself. 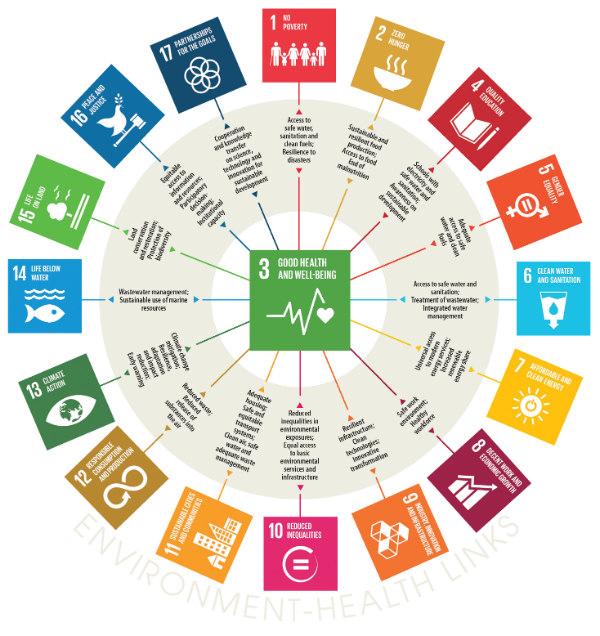 Furthermore, the ECEH is supporting European Member States in implementing the health and environment dimensions of the Sustainable Development Goals (SDGs). Health and well-being linked to environmental and work-related factors are outcomes, determinants and enablers of sustainable development. 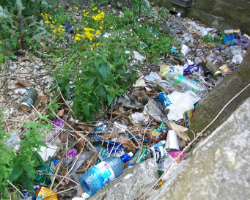 Every year, the countries of the European Union (EU) generate 25 million tonnes of plastic waste, and less than 30% of this is collected for recycling. To tackle this, in January this year the EU adopted its first-ever strategy on plastics as part of its circular economy package adopted in 2015. A circular economy focuses on using fewer resources and less energy and reducing waste, while promoting recycling, long-lasting design, maintenance and repair. The ECEH hosted a meeting entitled “Circular economy meets environment and health – opportunities and risks” in October 2017 in Bonn. It aimed to facilitate the involvement and discussion of the health sector with the main partners and actors dealing with the circular economy, and to start the development of a consistent position for the health sector within the WHO European Region. In collaboration with partners and key actors, WHO continues to further investigate this area. It will complete an assessment report on the circular economy and its implications for human health later in 2018.